Immaculate condition, total genuine, Beautiful Honda Genuine alloy rims. In own name, Honda maintained. IPod, USB, Bluetooth Phone system installed. Back View Camera Factory Fitted. No time wasters kindly contact. Neat and clean interior. Engine condition excellent. Price negotiable for serious buyers. 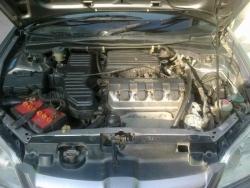 Car body, engine and interior are in good condition. 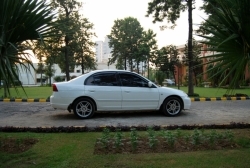 Honda Civic 2004 model. Vti Prosmatic. Stone Metalic color. Good Condition under the use of Govt. officer. A great gift for Honda lovers. Price is negotiable. Changing as shifting to new model. 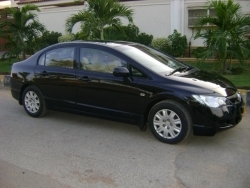 Home used well kept car which needs no work.Buy & enjoy. 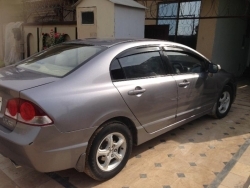 The car (2012 Model Reborn Shape) is in excellent condition having Pre-fitted Navigation, Silver Colour, Islamabad Registered, Single Hand Driven, First Owner. All of its maintenance jobs have been executed from Honda Centre/ Classic. 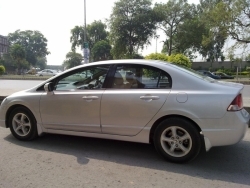 hello asalam alaikum i want for sale my Honda civic prosmetic model 2007 fuel option registered in islmabad number plate the condition of this car was excellent 1,8 liter petrol it's 100% genuine car rim tear are all ready.